So, at archKIDecture, we are not huge fans of wasting food or using it in ways that are not going to be eaten, however, this use of the superfood broccoli, could not go unnoticed. 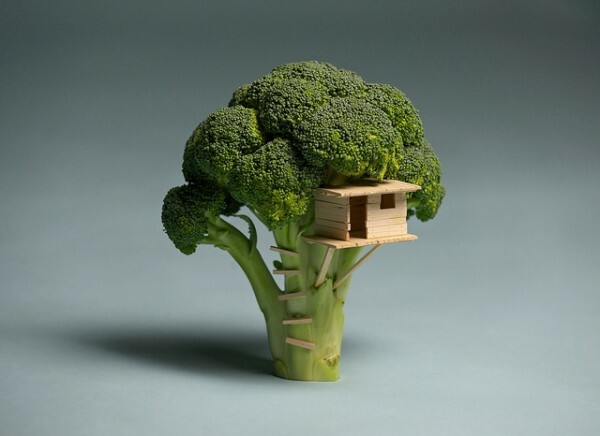 This artist, Brock Davis, took his healthy food to heart and art and made a tree house out of toothpicks in a broccoli tree. Perhaps the next time you have some of that good green stuff on your plate you might think about using the potatoes to make a little house in it, right at the dinner table. Read a teeny bit more about it on Brock’s site: here. Maybe you can think of other architecture and food projects. Send any photos to archKIDecture if you do!